The Independent has previously reported that Google’s voice search function doesn’t just turn on when specifically asked to. It records anything and everything. This has been going on for years, but the public at large became generally aware of it back in the summer of 2015. Google also carefully keeps track of every single thing you search for on the web… all of it in one nice long history strand that makes a Facebook wall look like peanuts by comparison. Depending on whether or not you have location data on, it can also show you a timeline of where you have physically been, broken out by year on a world map. Using these three features, Google probably knows more about you than your own mother does. Now at least Google has set up a page in your portal which will allow you to listen to all of your recordings and view your entire history and delete it all. 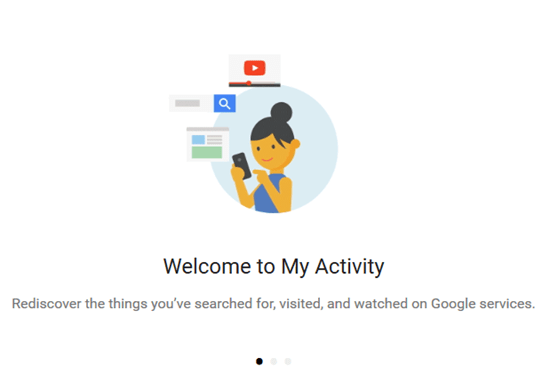 Just log into myactivity.google.com. While there is no “mass delete” option for everything (that’s right, you have to delete each set of searches or each recording separately), you can click on “Activity Controls” in the left-hand menu and at least choose to “pause” the features that record and store your searches, your voice recordings, etc. so Google can’t do this to you anymore in the future. At least these features aren’t mandatory… yet. ← Mike Adams, Alex Jones Attacked… Is it a Prelude to a False Flag Event Targeting Trump?